Mango Maids provides professional cleaning services in Airdrie, Alberta. If you live in Airdrie and are looking for home cleaning or maid services contact the team at Mango Maids. We know you are busy. Whether you’re a parent, managing a full-time career, running a business or all of the above we can help relieve some of the stresses of life. We are insured and reliable cleaners that specialize in a wide variety of professional cleaning services for your house, condo, apartment & business. Our cleaners pay attention to every detail, and are dedicated to making your home spotless! Contact us today at (403) 389 4060 to find out about our competitive rates, and our cleaning bundles! Coming home to a clean is relaxing, and the last thing that anyone wants to come home to is dirty living space. You do best when your environment is clean, safe and comfortable. Professional home cleaning services can make sure that your home is always in the condition you want it to be. There are numerous rooms in the house, and often areas you overlook, our professional home cleaning services ensure that your home is clean through and through. The best part of a professional home cleaner for your Airdrie home is ‘You Don’t Have To Clean It Yourself’. Cleaning your home takes up your valuable time and can be somewhat complicated. You can trust all your professional home cleaning needs to Mango Maids! Contact us today, for your Airdrie kitchen cleaning needs! If your Airdrie home or business requires carpet cleaning contact Mango Maids! We offer competitive rates and professional service. We have trained professionals that use state-of-the-art technology and environmentally friendly products, ensuring your Airdrie carpets are safe and clean! Mango Maids uses hypo-allergenic, environmental-friendly and non-toxic products for your Airdrie carpet. We will keep your carpet visually pleasing, long-lasting and totally clean. * Our cleaners are certified and fully trained. They follow the warranty requirements and recommendation of the Manufactures for stain-resistant carpeting. 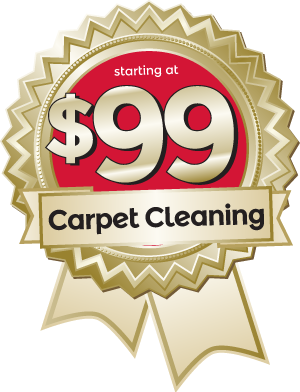 * Our carpet cleaning service pay special attention to spots, pet stains, and foul odors. * Mango Maids uses advanced steam carpet cleaning equipment that removes ground-in soil while using quick dry technology. Contact Mango Maids today for professional cleaning services in Airdrie Alberta – fill out your information below and our customer service team will be in touch with you shortly!